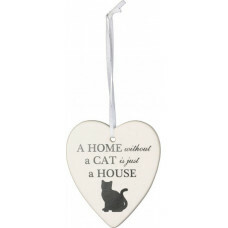 "A home without a cat is just a house" This light weight, rustic wall hang..
'A Home Without A Cat is Just a House' This sweet and simple hanging heart.. 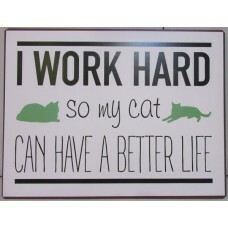 I Work Hard So My Cat Can Have a Better Life! 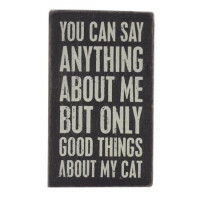 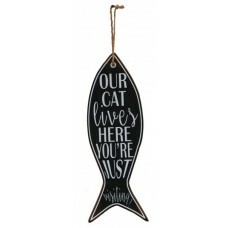 Are you obsessed with your f..
'Our Cat Lives Here, You're Just Visiting' Shaped like a fish this cutout ..
"Happiness is being owned by a Cat" Cat lovers know these words to be trut.. 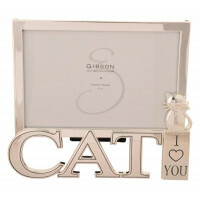 The purrfect size & weight to prop up a stack of heavy books, the Black.. 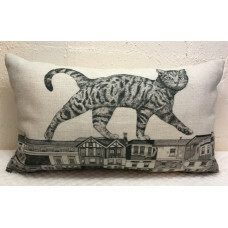 The perfect size & weight to prop up a stack of heavy books, the Zuny W.. 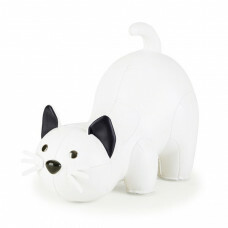 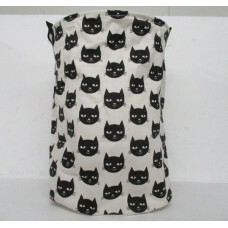 Try keeping your kitty out of this handy storage basket! 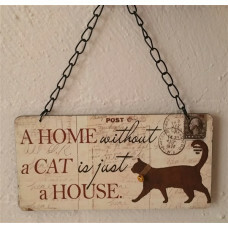 This versatile, f.. 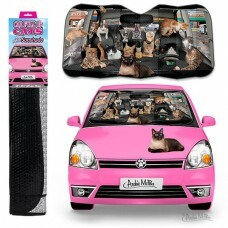 It's the Catmobile! 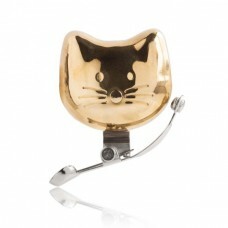 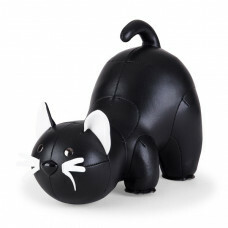 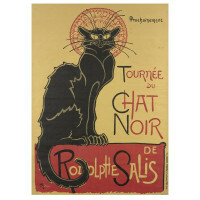 If you could have your deepest wish for a car accessor..
There’s no substitute for a good old-fashioned bicycle bell when you really..
Gorgeous kitty faces! 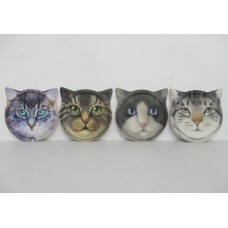 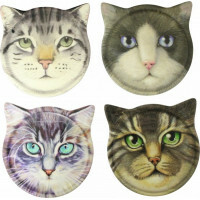 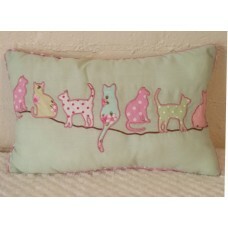 Each one of these four adorable Cat Face Coasters fe..
“Cats Make Me Happy, You Not So Much.” Oh Meow! 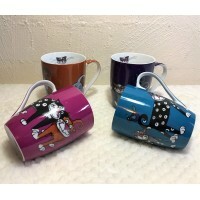 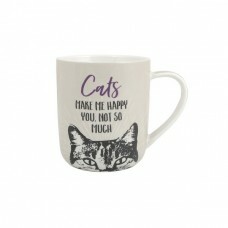 Yes, cats make us very hap..
Coffee Mug - "You've Cat to be Kitten Me Right Meow"
"You've Cat to be Kitten Me Right Meow" Pink Ceramic Coffee Mug featuring .. 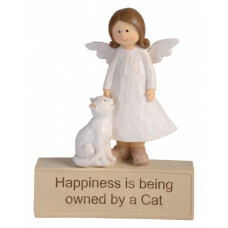 IT'S FOR YOUR OWN GOOD, KITTY! 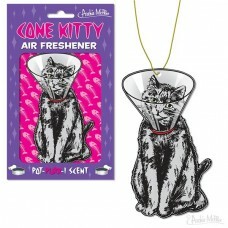 Staring at this miserable kitty in a cone w..